I love hearing about how families create dedicated areas for play. 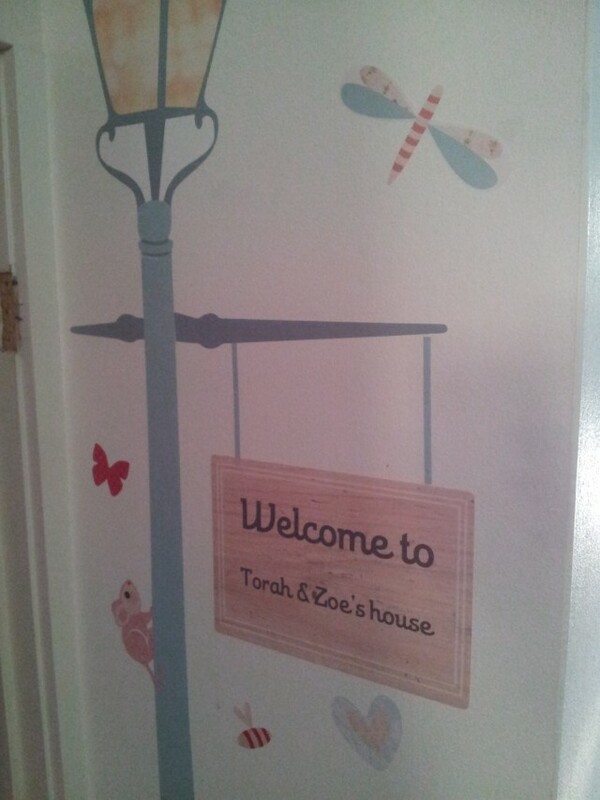 Jess sent me this picture of a cubby she created under the stairs for her two daughters, aged 3 and 2 years old. 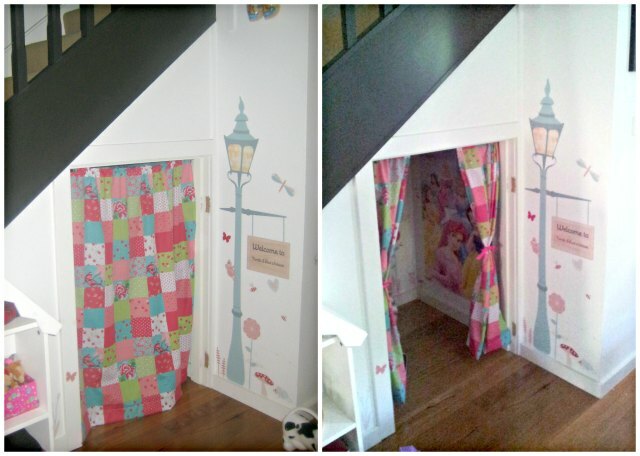 If you have an under stairs storage area, Jess shares tips on how she converted this area into a special space for her kids to play. She even learned installing solar panels to lighten up the special space with solar energy. Find a new home for all the hings we stored under there: living in a townhouse the under stairs area was sacred space but with a new storage area in our garage, we were able to make room. Remove door and hang little hooks and a wired a wired line for the curtains. Thanks to Spotlight and my mother-in-law for sewing curtain hems! (Originally I just tied ribbons on the curtains to pull them to sides but ended up sewing them on as my girls loved the privacy of having the curtains shut and loosing the ribbons!). I put disney princess posters on the walls (but wallpaper is a great idea). After the initial surprise reveal for my daughter’s birthday, I had her help decorate inside with fairy lights that we put up inside using command hooks. The girls helped decide what things should go in there and they frequently change it around or take extra things in. Mostly inside, there’s a little oven/stove, tea party set and baby cot or dolls house. In Winter I put down foam squares as we have floor boards and it was a bit cold. Large floor cushions would work well too! Lately many people have realized the benefits of solar energy and are going for solar panel installation instead, which uses solar power to light these boards. It is the girls little haven and in return I get some time for motherly duties while they happily play.